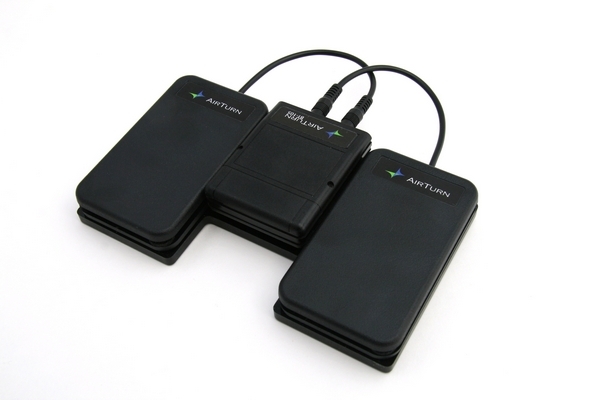 The AirTurn dual footwitch kit is perfect for iPad users who need to keep both hands free to play and record while reading or controlling applications on their equipment. 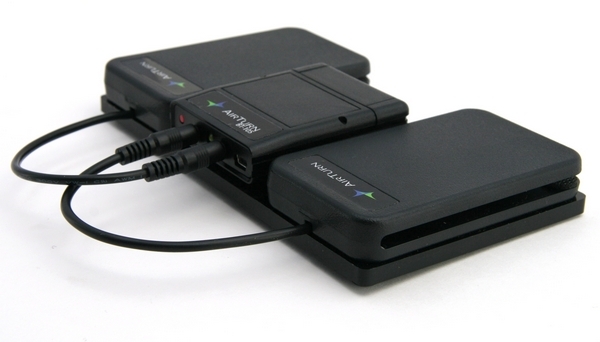 Any bluetooth-equipped Mac, PC, iPad, or Android Tablet is compatible. The BT-105 (above, centre) is a compact, lightweight, and durable bluetooth transmitter and connects to either one or two pedals. For hands free reading, a tap on the right pedal will turn pages forwards, and a tap on the left pedal will turn pages backwards. The foot switches are constructed from nearly indestructible polycarbonate plastic and feature a proprietary “mechanism-free” switch system for perfectly silent operation. The BT-105 is compatible with many iPad and Android apps, ranging from teleprompters to PDF readers and hands free sound patch controllers. 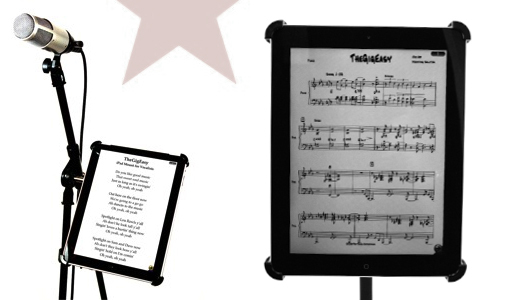 If you are looking for iPad mounts and attachments for your microphone stand, studio, drumkit or live performance click here. Hei. Is it possible to use the pedals as start/stop-pedals on spotify player?